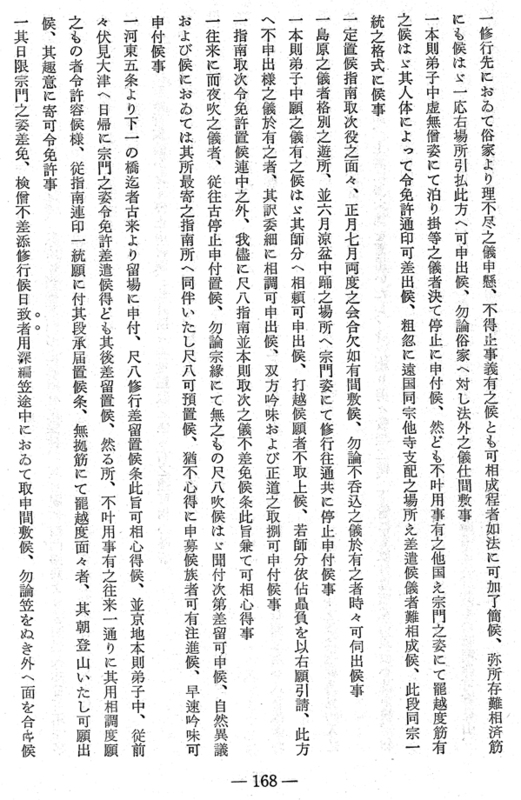 "Announcement of Regulations for Disciples of Fundamental Principles"
Possibly authored by Engetsu Ryōgen who, allegedly, died in 1695, acc. to the traditional Myōan Temple Records. Reprinted in Nakatsuka. 1979, pp. 166-169. Do note that, composed and issued by the Kyōto Myōan-ji, this document does not mention any "Fuke Sect", Fuke-shū, 普化宗, at all. You may also study Gunnar Jinmei Linder's commentary on this text in his 2012 PhD thesis on pages 125-126. 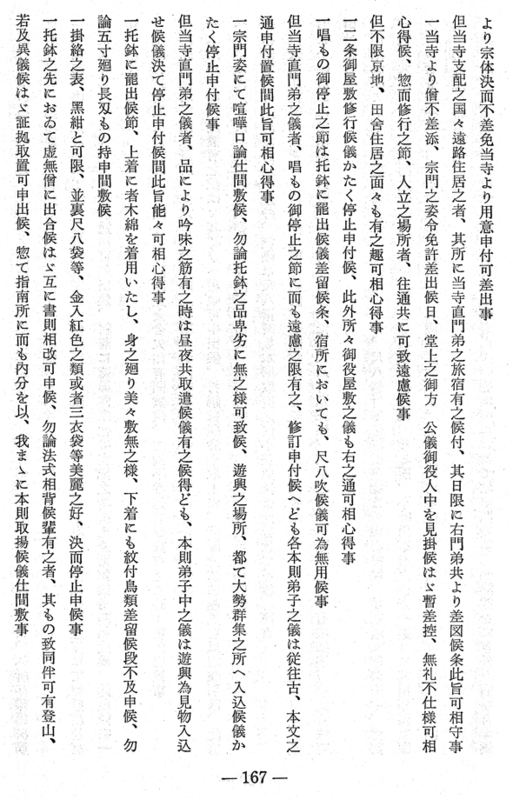 Source: Reprinted with introduction and comments in Nakatsuka 1979, pp. 166-169. 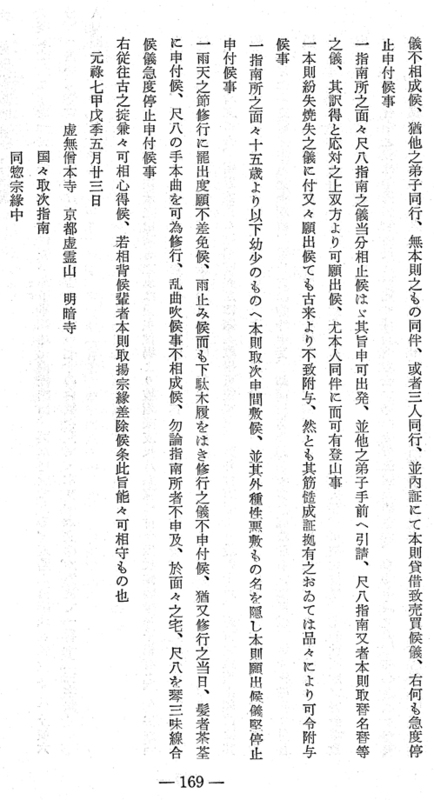 Engetsu's Honsoku deshi ... document as reprinted and commented upon in Nakatsuka 1979, 166-169.